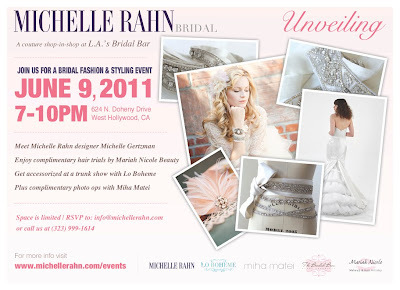 Join us for a bridal & styling fashion event on June 9th, 2011 7-10pm at The Bridal Bar 624 N Doheny Drive, West Hollywood, CA 900069. 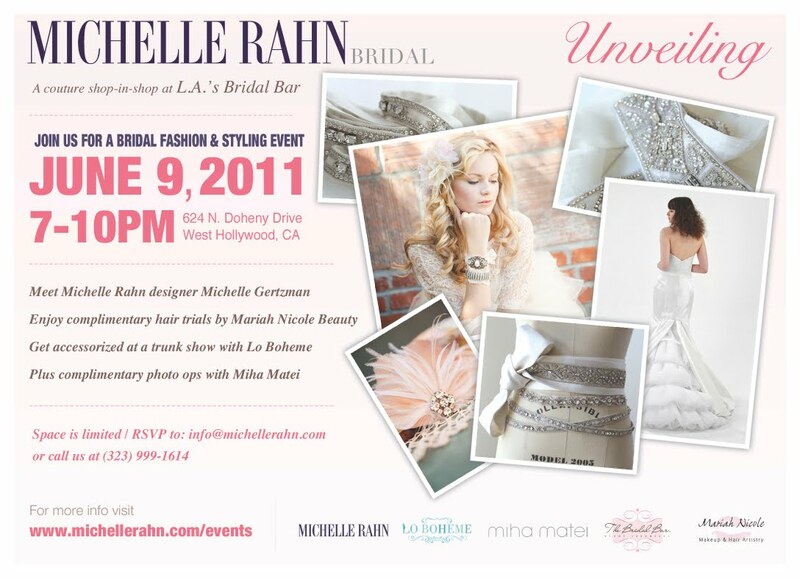 Welcome and meet Chicago-based bridal gown designer, Michelle Rahn to Los Angeles. The Mariah Nicole team will be offering quick complimentary hair trials using accessories by Lo Boheme. Plus, get complimentary photo ops with photographer Miha Matei! Space is limited! RSVP to info@michellerahn.com or call 323-999-11614.